What is Myonit Insta (Glyceryl Trinitrate) used for? Myonit Insta (Glyceryl Trinitrate) is an oral medication prescribed to treat patients suffering from angina attacks. It operates by relaxing blood vessels throughout the body to reduce the amount of work required by the heart to circulate the blood. This can reduce symptoms associated with this condition such as chest pain or difficulty breathing. Your doctor may also recommend its use for other unlisted purposes. How should I use Myonit Insta (Glyceryl Trinitrate)? Follow the instructions provided by your doctor while using Myonit Insta (Glyceryl Trinitrate) to get the best results from treatment. One tablet is normally taken once daily, but your individual instructions will depend on your health condition and the severity of your symptoms. The tablet should be administered orally by placing it into the mouth and allowing it to dissolve completely. Ask your doctor or pharmacist any questions you have about the medicine to ensure the correct usage. What are the side effects of Myonit Insta (Glyceryl Trinitrate)? Immediately contact your doctor if you experience any serious side effects such as faintness, vertigo, tachycardia, bradycardia, burning sensations, deterioration of your symptoms, or signs of an allergic reaction such as skin rashes, swelling, or trouble breathing. These conditions may require lower doses, reduced frequency of administration, or reduced frequency of administration, or emergency medical attention to prevent further health problems from occurring. 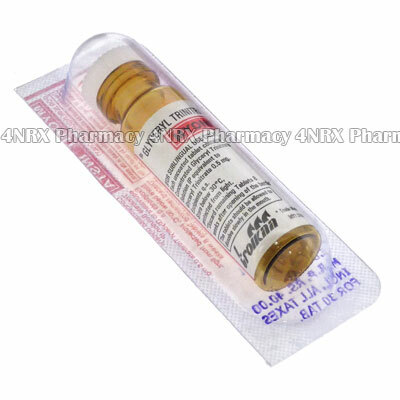 Myonit Insta (Glyceryl Trinitrate) should not be used to treat patients who are allergic to nitrates or who have cerebral haemorrhage, severe anaemia, constrictive pericarditis, hypotension, cardiac pericarditis, low volume of circulating blood, hypotension, mitral valve stenosis, aortic stenosis, closed angle glaucoma, or if have had a recent head injury. Also inform your doctor if you have hypothermia, hypothyroidism, low oxygen levels in the blood, severely decreased kidney function, severely reduced liver function, or if you have recently had a heart attack. These conditions may require special alterations to your regimen to prevent unexpected complications from occurring. Strictly use Myonit Insta (Glyceryl Trinitrate) as prescribed and follow all instructions provided by your doctor. Safe, suitable, and optimum dosage can vary and is dependent on the patient`s health and medical history, as well as the condition you are treating. Myonit Insta (Glyceryl Trinitrate) may not be safe or suitable for all patients. Always ensure your doctor is informed if you are pregnant or breastfeeding, using any other type of medication (including non-prescription medicine, vitamins, and supplements), as well as if you have any allergies, other illnesses, or pre-existing medication conditions.